Celeritas Software Company, the producer of the award-winning WinMaximizer PC optimization software, is a US-based software company serving millions of customers in over 150 countries worldwide. We remain a family-owned business which allows us to focus on our customers. We devote 110% of our time making sure our customers are satisfied! "Maximizing the performance of your PC without investing in costly hardware upgrades." This mission is accomplished by providing customers with an easy-to-use PC optimization software that "cleans up" all of the junk files, file associations, and other impediments to maximum PC speed and performance. 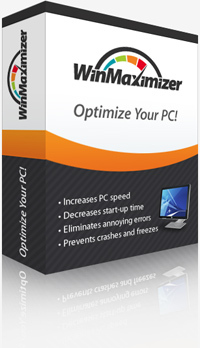 WinMaximizer's ISE™ (Intelligent Scanning Engine) is an advanced scanning algorithm which scours 15 different categories of computer errors, ensuring your PC is running at maximum performance levels. ISE™ technology is developed and maintained by a team of experienced computer programmers who have created several other similar scanning engines utilized in anti-SPAM, anti-virus, and anti-spyware applications.